TRAVERSE CITY, Mich. — Some say wine is good for the soul, a sentiment appreciated at St. Joseph Catholic Church on Old Mission Peninsula. 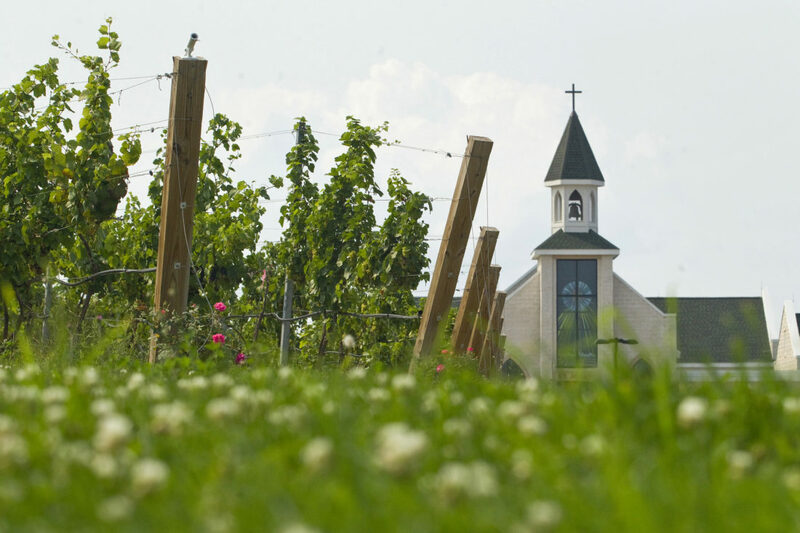 The church campus is home to three vineyards where grapes are grown to make a special sacramental wine used among the five Traverse City parishes: St. Joseph, St. Francis, St. Patrick, Immaculate Conception and Christ the King. The vines are cared for by volunteer parishioners from across the area and once harvested, are produced into a special rose wine at nearby Chateau Chantal. 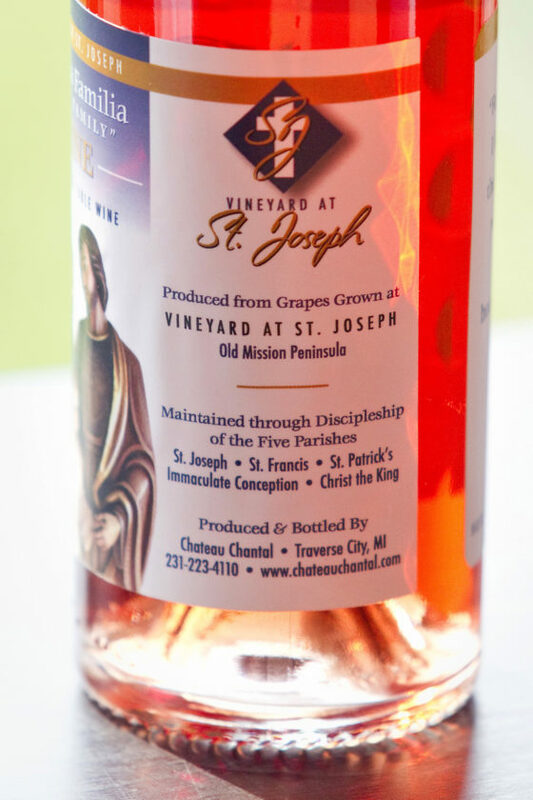 “The idea was to develop a vineyard for the primary purpose to produce a sacramental wine for St. Joseph church and the other parishes in the Traverse City area,” said Allan Edford, chairman of the church’s vineyard ministry. The church grows gamay, riesling and Marquette grapes and that trio is combined by winemakers at Chateau Chantal to make the semi-sweet rose wine which comes with hints of watermelon, peach and cherry. Dan Brick, chairman of building and grounds at St. Joseph, said the sacramental wine has been such a success and there is so much of the wine the church and winery opted to create a second label, one available to the public. It’s called Sagrada Familia, which means holy family in Spanish. “We named it that in honor or to show appreciation to all the Hispanic workers who work in the vineyards on Old Mission Peninsula,” Brick said. The rose is available for purchase by the bottle for $15 from Chateau Chantal, both online and in the tasting room. Each bottle in a case of 12 contains a different Bible verse that relates to the holy family, while the special dimpled bottles are designed and made in France, the Traverse City Record-Eagle reported. The gamay grapes are a French variety, riesling is a German and Austrian variety and the Marquette hybrid — with its pinot noir lineage — was created by the University of Minnesota to withstand bitterly cold winter temperatures. 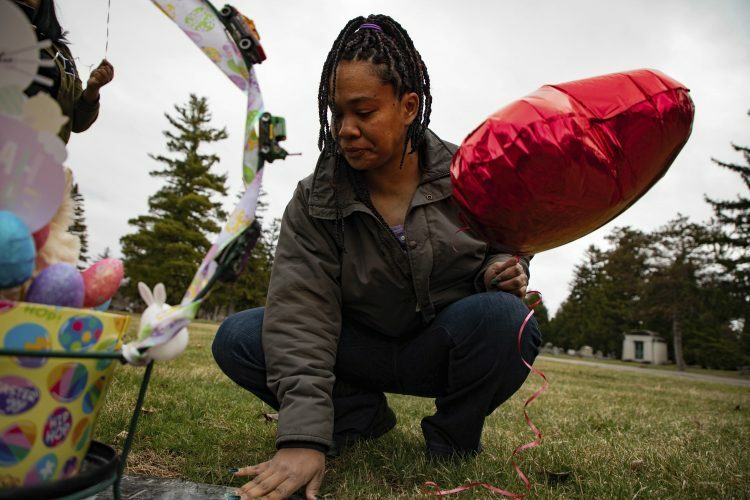 The grapes are sold to Chateau Chantal and after covering its costs, the church uses the profits to help maintain its adjacent cemetery, Brick said. Marie-Chantal Dalese, CEO at Chateau Chantal, said the wine can be purchased by the bottle but is not available for sampling in the tasting room. It’s a special project wine with St. Joseph Catholic Church that is all about community relationships, she said. “They’re our neighbors. Their parishioners are our neighbors. Some of us are parishioners,” Dalese said. Anyone interested in a volunteer vineyard discipleship may contact St. Joseph, while those who wish to learn about the wine can go to www.chateauchantal.com and search under red wines in the online shop.